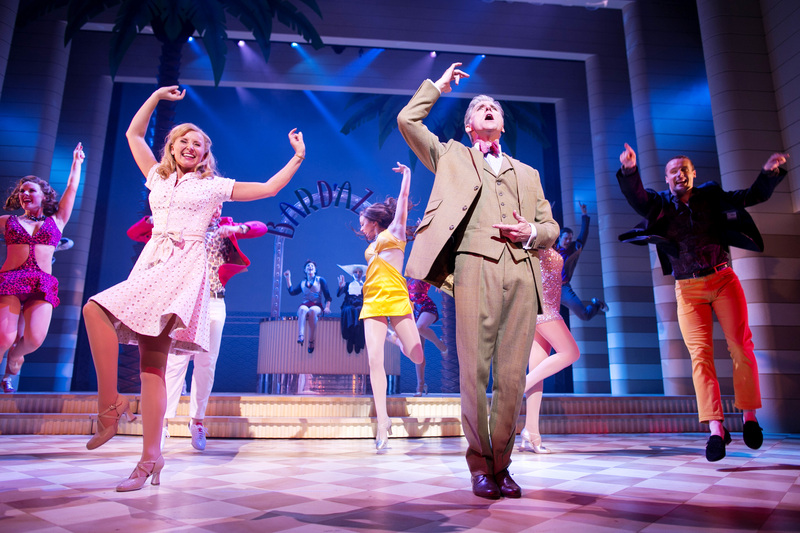 Earlier this year I went to London to see my first West End play, Dirty Rotten Scoundrels. I’d seen the film years ago and could vaguely remember the story, but I had no idea of the treat that lay in store. The show was fantastic, funny and hugely enjoyable, and if ever a role was made for the actor Robert Lindsay, it was the character of Lawrence. So you can imagine my apprehension when I heard that the production would be touring with a whole new cast. Thankfully, my misgivings proved to be utterly wrong, as the cast performing at Manchester’s Opera House wowed me all over again. With jokes aplenty, catchy songs, impressive dancing and the orchestra accompanying throughout, the show is bound to cheer you up to no end. The plot (without spoiling anything) centres around Lawrence and Freddy, a pair of very different conmen who exploit the rich with tall tales. But when a new lady, Christine, arrives in the French Riviera, which man will win her money first? Helped and hindered by Andre and Muriel, the two crooks are tested to see which one is the better fraudster. And of course, hilarity ensues. The cast, including the fantastic ensemble, perform their respective roles with vigour and verve, and it’s clear that they are all enjoying themselves – their smiles aren’t just ‘put on’ for the stage. 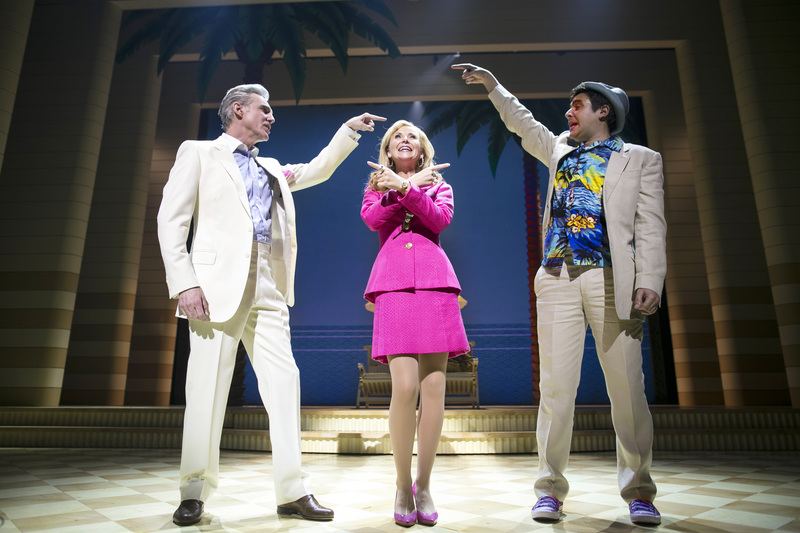 Michael Praed is charming and suave as Lawrence and Noel Sullivan is energetic and excitable as Freddy, pulling faces that Mr Bean would be proud of. Carley Stenson is a sweetly, innocent Christine, but boy can she belt out the tunes. And Mark Benton and Geraldine Fitzgerald make an unusually hilarious pair as Andre and Muriel. The production is very, very funny, so much so that at the interval you suddenly realise that your cheeks are aching from grinning for so long. Comedy musicals aren’t particularly common, but for some reason a powerfully sung song with utterly ridiculous lyrics really works, and will leave you in turmoil between laughing and trying to stop laughing so you can hear the next line. The Opera House itself is a good venue, with plenty of bars scattered across the various floors to appease your theatre munchies. The stalls are some the widest I’ve ever seen and you get plenty of leg-room too, a nice change to the usual limited space of an older theatre. Situated just next to The Avenue in Spinningfields, it’s in the perfect location to grab some pre-theatre dinner. So take your partners, take your friends and take your family because you’re guaranteed a night of laughs. And who doesn’t like a good laugh now and then?